Silver antoninianus, 21mm, 4.11gm, issued AD 250/251. Rome mint. Obv: IMP C M Q TRAIANVS DECIVS AVG, Radiate, draped and cuirassed bust facing right. 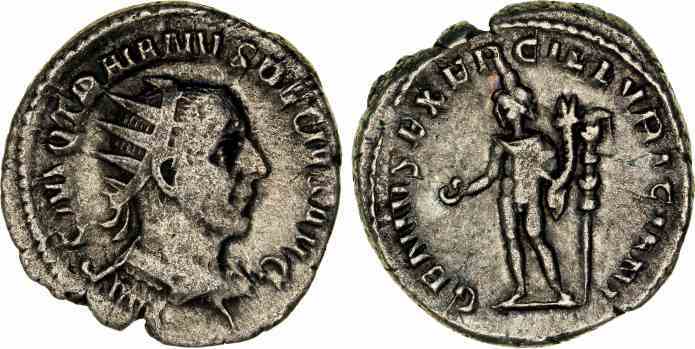 Rev: GENIVS EXERC ILLVRICIANI, Genius of the Army holding patera and cornucopiae, standard behind.